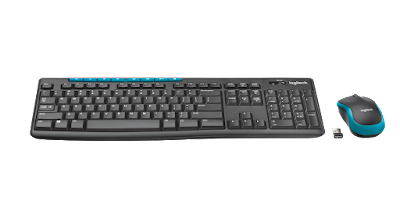 The keyboard features a familiar layout with full-size arrow keys, a number pad and all the usual keys you need. The keyboard also comes with 8 hot keys that give an instant access to your music, calculator and more with 4 media control keys and 4 shortcut function keys.
. The Logitech receiver is so tiny, you can plug it in once and forget about it. 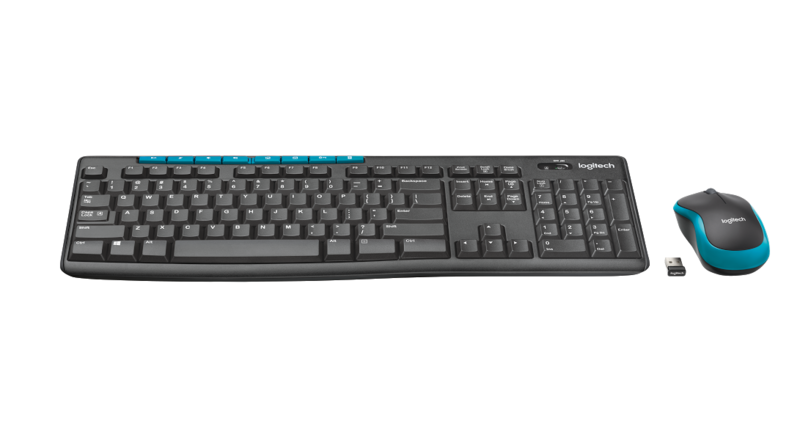 A 36-month keyboard and 12-month mouse battery life - with auto-sleep and on/off switch - let you go years without the hassle of changing batteries. The new MK275 Wireless Combo is built to last and provides a long-lasting solution that allows you to be more productive for much longer.